Hiya guys! I was going to say TGIF... except we're not quite there yet. But it's kind of like a Friday for me and then some since I have the entire week off work. Pelvic thrusts and twerking shall be had in my mani cave. Is that still a thing? Like do kids still twerk? Haha let's just move along to the polish shall we? Today I'm sharing swatches for the Kiki Vol 2. 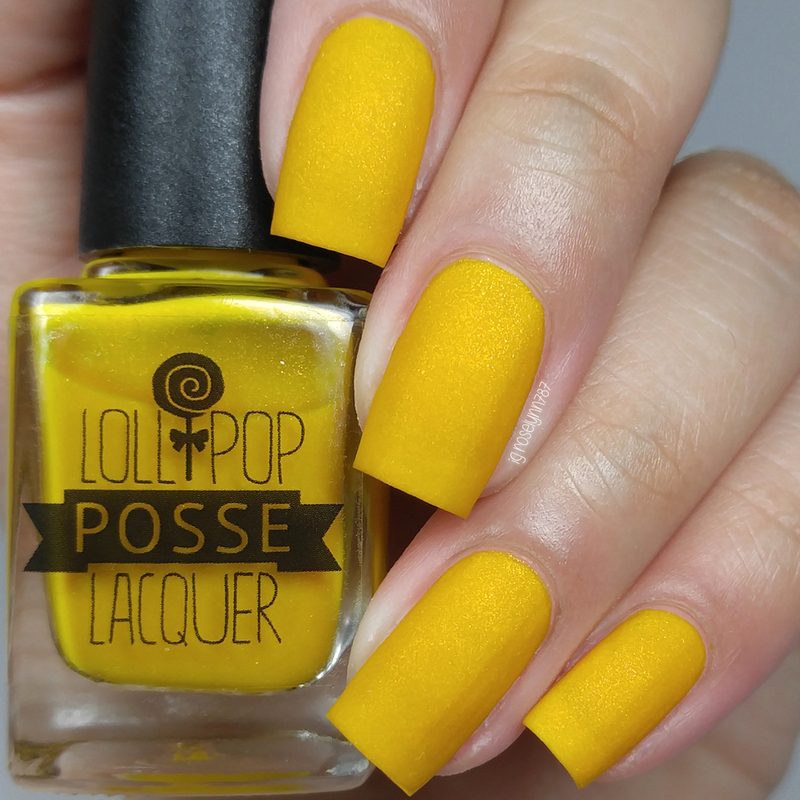 Collection by Lollipop Posse Lacquer, which consists of four matte shimmers. The collection is inspired by the Scissor Sister's song, "Let's Have a Kiki" and is a continuation on the Christmas Kiki Collection that launched in November 2016. The original collection was just so stunning, I ended up grabbing them during Black Friday. So needless to say, I've been so excited about this collection since the second I heard about it! Without further ado, let's get to the swatches. The Kiki Vol 2. Collection by Lollipop Posse Lacquer will be releasing Friday, April 14th at 8PM EST. Each full-size bottle retails for $9.50 and the quad is available for $34. You will also be able to purchase the Christmas Kiki and Kiki Vol. 2 Collection (a total of 8 shades) for $66. We're Gonna Serve can be described as a matte, blue-leaning teal that is packed with shifting shimmer and on-tone micro flakies. I love the almost velvet sensation you get from this shade. Like doesn't it just look so soft and silky?! It's one of the sexiest blues in my entire collection hands down. The formula has a really smooth and opaque application. Nice even coverage with a balanced consistency as well. Plus no staining on removal, which is always a huge bonus. Shown in two coats with no topcoat. 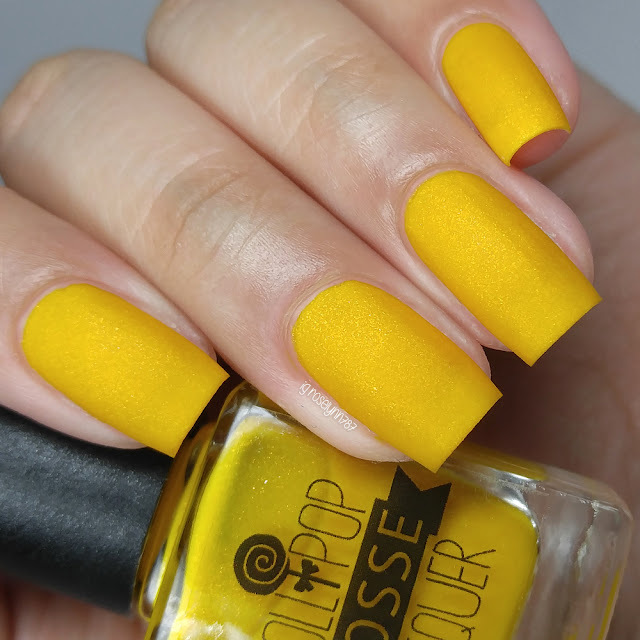 Spilling Tea can be described as a shimmery golden mustard matte. 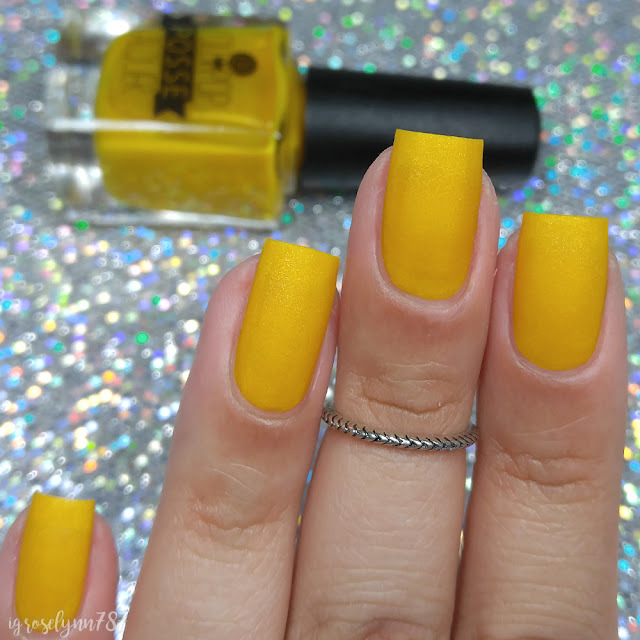 This shade shook my entire world upside down, because never would I have imagined myself loving a mustard polish! Yet here I am and dare I say this looks so good against my olive skin complexion. The formula has a sheer application, a bit more so than the others in this collection. If I only did two coats then I did see a visible nail line, but I found complete coverage with thin third layer. The consistency on this one tended to lean on a thick side, but still applied really well and felt manageable. Shown in three coats with no topcoat. I Hope You're Up, Girl can be described as a matte berry shade that is filled with blue shifting shimmer and pink to blue shifting micro flakies. A favorite among favorites and I feel like that speaks volumes about this shade. The contrast of the base and flakies is really striking. Definitely a must-have without a doubt. The formula has an initial sheer, but smooth application. Very easy to work with and layer. Like most of the others, it has a great balanced consistency. Shown in two coats with no topcoat. 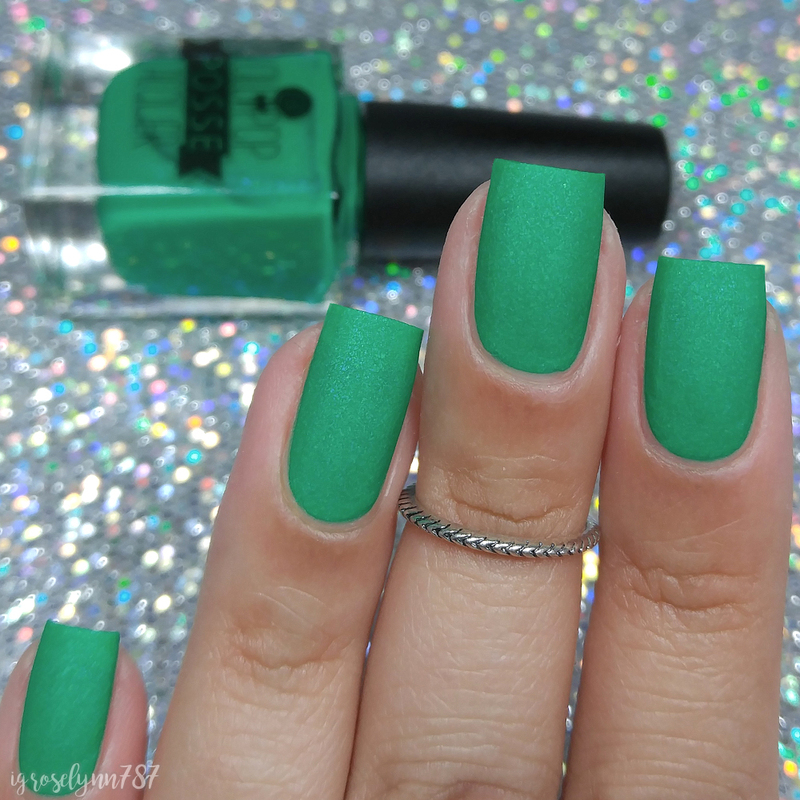 Lock the Doors Tight can be described as a vibrant, grass green matte shade that is filled with shifting shimmer and on-tone and gold micro flakies. Again not a shade I expected to fall in love with, but here I am head over heels. The formula has a sheer application, but it builds up easily for full coverage. It's very consistent with the others in this collection, great balance between thick and thin. There was no staining on removal to my cuticles or nail bed. Shown in two coats with no topcoat. Overall I'm beyond in love with this entire collection and it's an absolute must-have! Yes guys, this is one of those rare occasions where every shade in the collection is a complete must. And if you're curious, my must-have stamp of approval does include the original ones from the Christmas collection. Not only are all the colors gorgeous, but the formulas are more than fantastic. Super quick dry-time and dries completely matte in less than five minutes. This was like a swatcher's dream collection, haha. But seriously I feel like I cannot praise this collection enough without sounding like I'm completely gushing. Let me know down in the comments if you share my excitement over these shades! To recap, Kiki Vol 2. 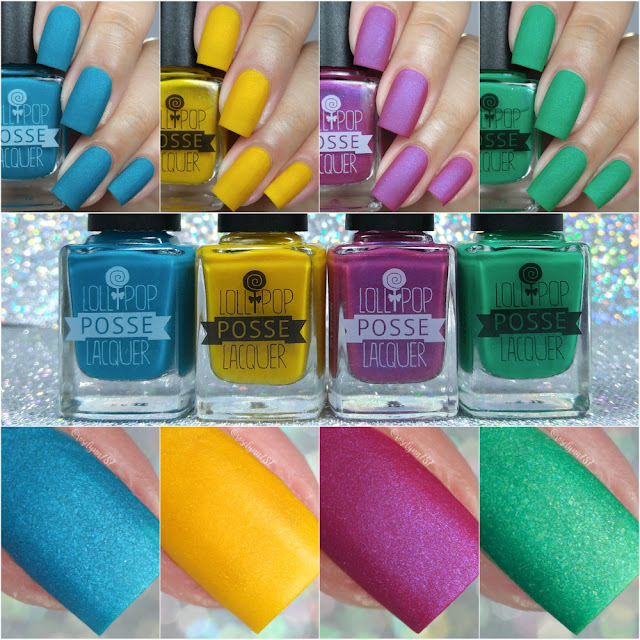 Collection by Lollipop Posse Lacquer will be releasing Friday, April 14th at 8PM EST. Each full-size bottle retails for $9.50 and the quad is available for $34. You will also be able to purchase the Christmas Kiki and Kiki Vol. 2 Collection (a total of 8 shades) for $66. I Hope You're Up, Girl is gorgeous!